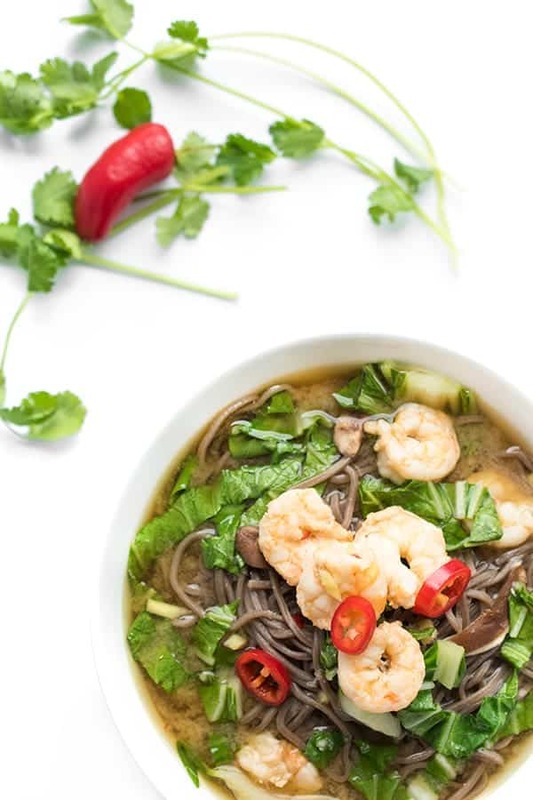 These fragrant Asian noodle bowls are made with soba, shrimp and bok choy in a fragrant ginger-infused broth. I recently joked with a friend that I’m on the “Asian soup diet” because I literally can’t stop cooking, order and eating Asian-inspired soups. 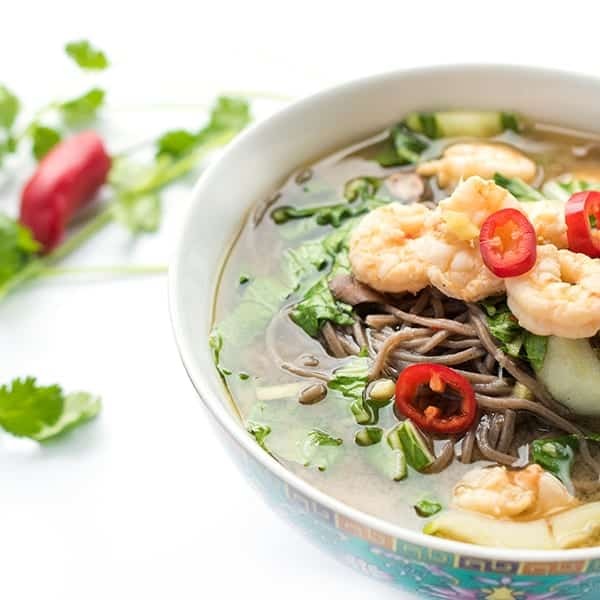 Made with fragrant ginger, toasted sesame oil and any combination of noodles, protein and vegetables, Asian soups are the ultimate meal-in-a-bowl. 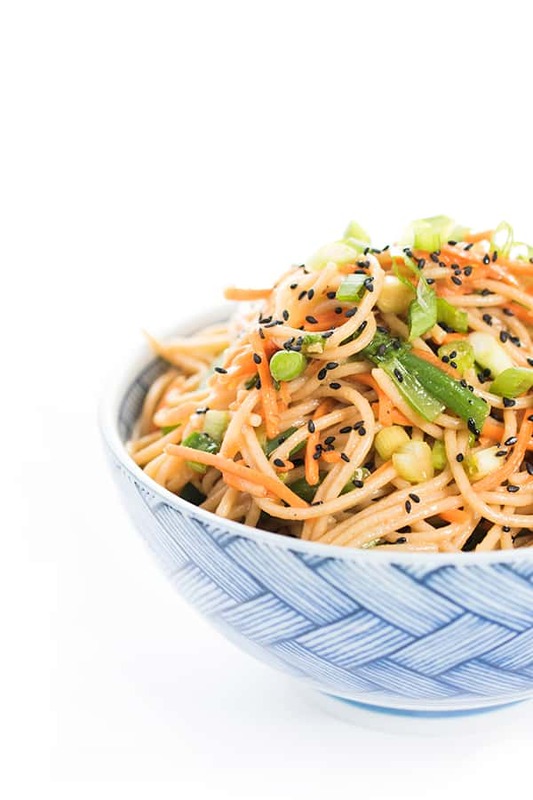 While I typically use rice noodles or swap the noodles out for shredded cabbage, recently I was craving hearty soba buckwheat noodles. 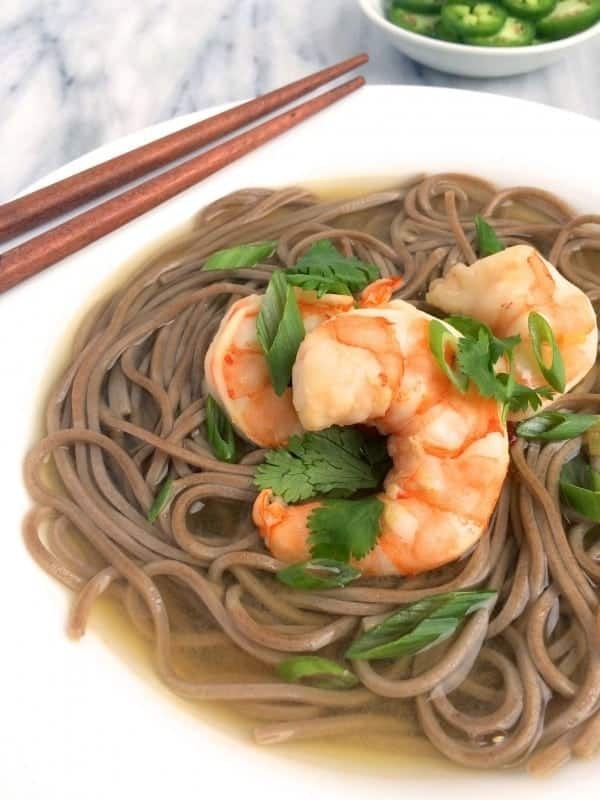 Made with 100% buckwheat, these noodles have a great texture and delicious flavor. 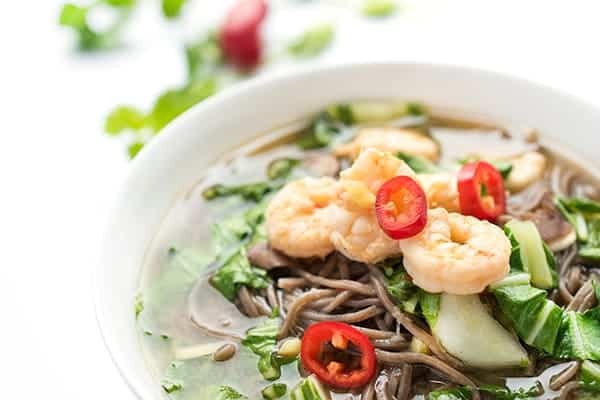 Shrimp is often my protein of choice since I always have a bag of wild shrimp in my freezer but you could just as easily use pulled chicken or thinly sliced sirloin steak. 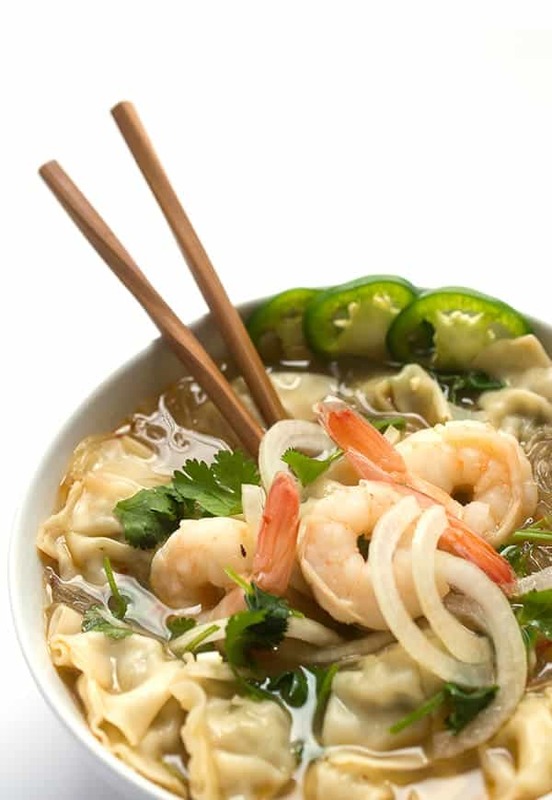 If you have wontons on hand throw a couple of those in as well. Bok choy adds texture and fiber keeping you full and satisfied for hours to come. Kale and cabbage work well too if you don’t have it on hand. Divide prepared soba noodles evenly between four bowls and set aside. Head sesame oil in a medium sauce pot over medium heat. Add ginger, garlic and chili paste and sauté until fragrant, about 30 seconds. Stir in chicken broth, soy sauce and rice vinegar and bring to a boil. Add shrimp to the pot and cook for 3 minutes or until shrimp is bright pink. Remove from heat and stir in boy choy. Check for seasoning and adjust accordingly. Pour broth mixture evenly over soba noodle bowls and garnish to taste. 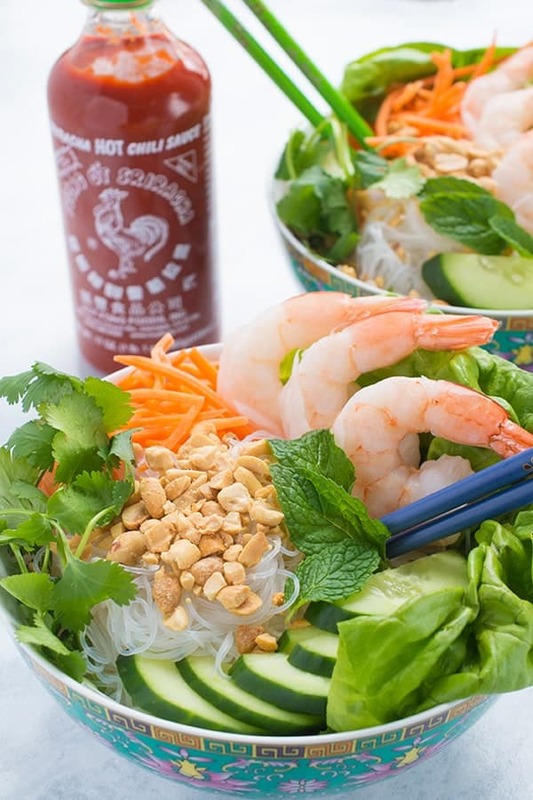 Take a look at my Pinterest board for more Asian-inspired recipes! These are right up my alley. I’ve been obsessed with Asian noodles lately! 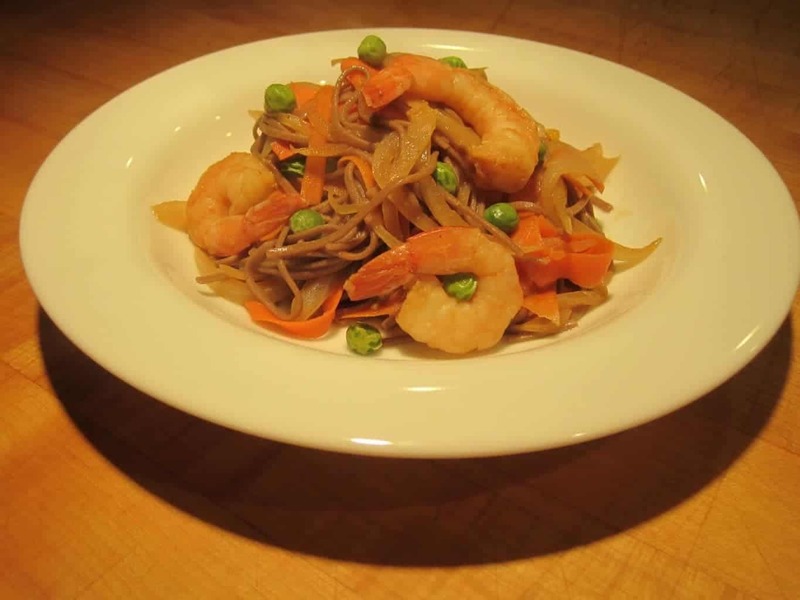 I especially LOVE soba noodles! Me too girl!! Noodle bowls for life.